Jordan Spieth gave Titleist’s TS3 driver another shot at Pebble Beach. Following an initial test run with the driver at the Shriners Hospitals for Children Open in November, Spieth chose to return to the 915D2 he started using four-plus years ago at Quicken Loans National — the first week 915 Series was introduced on Tour. 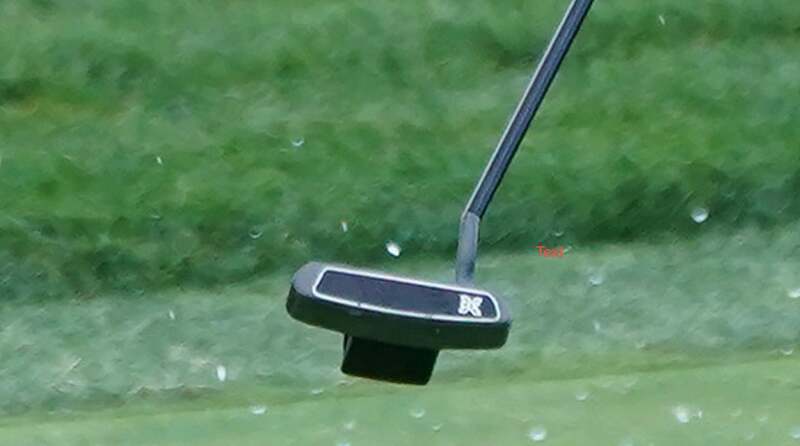 For all of the stories that have been written about how fiercely-loyal Spieth is to the Scotty Cameron 009 putter he’s been using since junior golf, he’s been just as attached to 915D2. While many players continually chase distance on the PGA Tour, Spieth has always placed an emphasis on accuracy and workability when it comes to the driver. “A lot of the courses on Tour put an emphasis on getting the ball in play and total driving, so being able to stand on the tee and know I can work the ball both ways and hit it solid is huge,” said Spieth, who has never ranked higher than 51st in driving distance since his first full season on Tour in 2013. 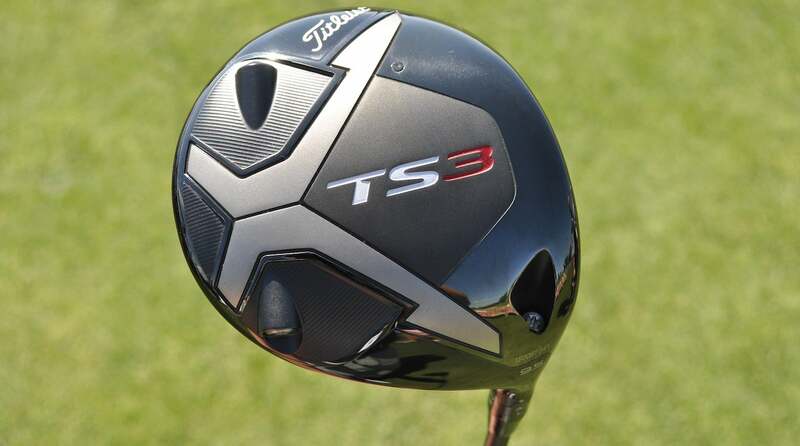 Spieth used 915D2 in his previous start at the Farmers Insurance Open, but by that time a new TS3 was already in the works, having been built earlier in the week at Titleist’s Performance Institute in Oceanside, Calif.
Spieth underwent extensive testing at the facility and preferred the shape of the TS3 head to that of TS2, according to Titleist Tour rep J.J. Van Wezenbeeck. When Spieth initially worked with TS3 two weeks prior to Shriners at his home course (Trinity Forest Golf Club), he found the best setup with the A-1 SureFit hosel setting, which is the neutral shot shape for the driver. The second go-around with the driver, Spieth went up in loft from 9.5 (915D2) to 10.5 (TS3) degrees but took .75 degrees off with a D-1 position — it also allowed for a more open setting — that helped him achieve optimal launch and spin characteristics. As one of the most coveted equipment “free agents” left on the market, Paul Casey has retained a mixed setup since Nike exited the hard-goods side at the end of 2016. TaylorMade (woods), Mizuno (irons), Vokey (wedges) and a Scotty Cameron (putter) have been the usual suspects until a Honma TW-X 4-iron surfaced back in January at the Sentry Tournament of Champions. Casey recently added a second TW-X long iron (3-iron) and even tested a full bag of Honma clubs last week. But he still remains a free agent when it comes to his gear. Tiger Woods used part of his off week between the Farmers Insurance Open and Genesis Open to knock out some on-camera obligations for TaylorMade. A few of the photos centered around his yet-to-be-released P7TW irons, but there was another club that caught the attention of a few gearheads. Woods is reportedly testing a P760 2-iron with a Project X shaft — a possible long iron option as he prepares to make his second start of 2019. Woods is familiar with the PX family, having used a lighter PXi 6.5 shaft in his Nike VR_S Forged 2-iron several years ago. Based on Phil Mickelson’s recent comment, we shouldn’t expect to see a driver change between now and the Masters. Mickelson broke in Callaway’s Epic Flash driver at the Waste Management Phoenix Open but didn’t like the results enough to keep it in the bag, returning to Rogue Sub Zero at Pebble Beach. Tommy Fleetwood hasn’t played poorly, at least by normal tour standards, to start the year. But following a T14 in the Middle East, Fleetwood chose to replace his Odyssey White Hot Pro #3 with the company’s DFX 2-Ball Blade — a putter that was released in 2007 — and added lead tape that’s visible along the front portion of the sole. The 2-Ball design on the crown also includes a single black line that runs through the middle of the two balls, creating a secondary alignment aid. Tommy Fleetwood's putter has a worth of...$13. From a performance standpoint, the DFX has a firmer feel at impact than White Hot model Fleetwood was using previously. And if you’re considering following Fleetwood’s lead and acquiring a DFX 2-Ball, don’t sweat the price tag. According to the PGA Value Guide, the putter can be had for less than $13. Callaway’s Chrome Soft Truvis was originally designed to improve focus and visibility on the course. But the unique pentagonal pattern on the ball has been the perfect canvas for everything from player logos to a Taco Bell-themed version for Wesley Bryan at last year’s Phoenix Open. The latest player to embrace the Truvis treatment is Michelle Wie, who recently returned to practice following hand surgery. Wie chose to have her “MW” logo stamped inside the pentagonal pattern as she prepares to make her debut at the Honda Thailand event. Tony Romo’s miraculous recovery from the hospitality tent was the shot of the week at the AT&T Pebble Beach Pro-Am. To make the shot even more special, Romo used a Vokey SM7 wedge once owned by Jordan Spieth to pull off the incredible up-and-down. As opposed to buying a fresh set of wedges, Romo plays a 60-degree lob wedge with Spieth’s initials and the Texas Longhorns logo stamped on the head. Romo confirmed he’s been accepting Spieth’s wedge hand-me-downs for the last year. Based on the deft touch he produced with the wedge, Romo might want to consider asking Spieth for a few more sets. Quick-Hitters: Rafa Cabrera Bello tested Scotty Cameron Phantom X T-8 and T-8.5 heads before ultimately deciding on the 8.5 (single sight line) for competition. … Fujikura had seven Ventus shafts (two of which were new) in play during the tournament. … Tommy Fleetwood returned to TaylorMade GAPR Lo with UST’s Recoil Prototype Utility 110F5 shaft.